A local radio station producer contacted me to do a show. "My name is Devon and I am the producer of The Weekend Morning News with Jill Bennett on CKNW Radio in Vancouver. I'm writing because I recently read about the story of you 'paying it forward' to people and your paying rent for a year. WOW! I invited my new friend and visionary Peter, the "modern day JFK" and off-grid genius to join me. 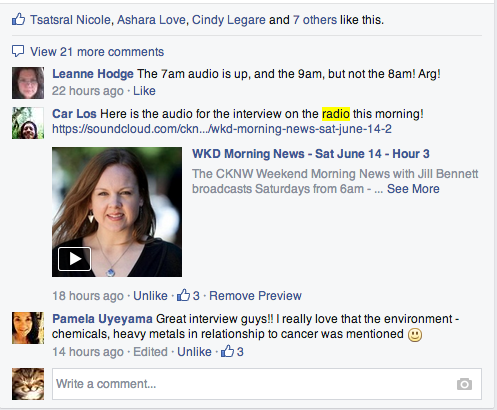 Yesterday we were on "The Weekend Morning News with Jill Bennett on CKNW Radio in Vancouver. " Saturday, June 14th at 8:10am PT (11:10am ET).